Biology is an important and relevant subject to everyday life and we aim to pass on our enthusiasm for this by delivering interesting and motivating learning experiences. We aim to provide a blend of excellent direct teaching and active learning. We make use of formative assessment techniques and involve students in the assessment of their work and that of their peers. We also use ICT in every lesson in the form of specially written interactive SMART boards activities. We incorporate the use of iPads into lessons. As well as many exciting applications that can enhance learning, these devices are particularly useful when completing assignment articles researching new applications of Biology. Edible model of a cell! 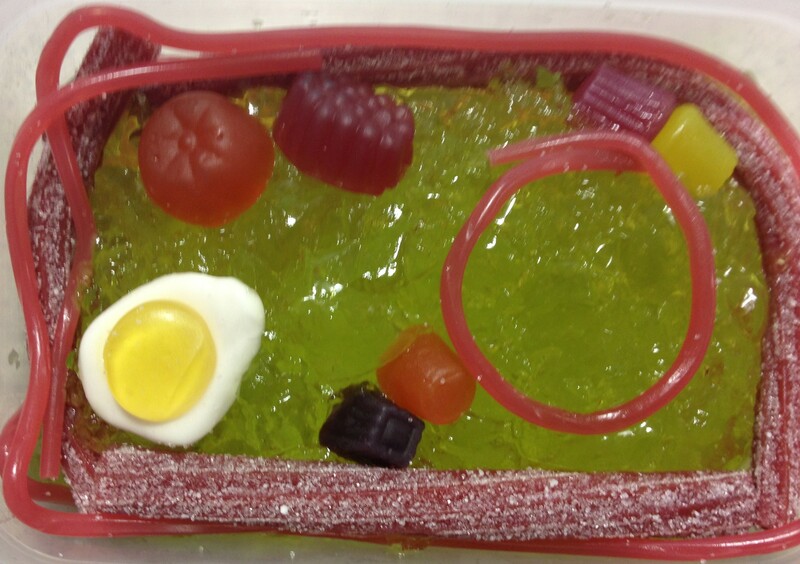 Jelly represents cytoplasm, strawberry laces represent the membrane, other sweets represent other organelles. Practical work is the basis of scientific study and we have 8 modern and well equipped laboratories that students work in. All laboratories are equipped with interactive whiteboards and a computer. Experimental work is backed up by textbooks and other resources, many of which have been written by our own staff, to really focus on helping students progress in their learning and be successful in their exams. 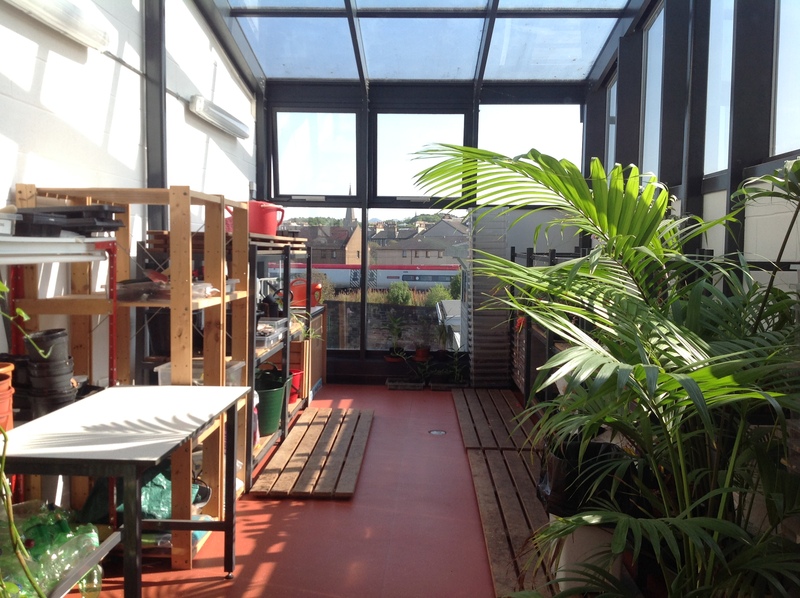 We have a rooftop greenhouse that we can use for germinating seeds and we have grown a crop of potatoes there in the past. Supported study is available at lunchtime and after school for any student who requires it. Our school science technician is invaluable in providing support for all the practical work that is carried out. We can visit the Zoo or Royal Botanic Gardens to enhance any classroom learning. S4-6: Students can study either National 4 or National 5 Biology. The topics are Cell Biology, Life on Earth and Multicellular Organisms. 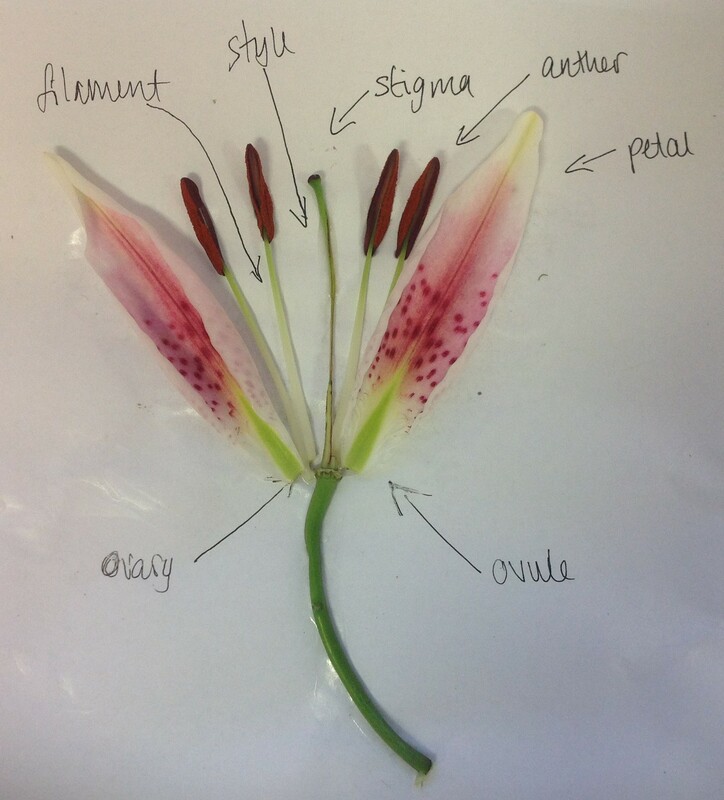 S6: Students can study Advanced Higher Biology. Our Small Animals Club (learning to care for gerbils, fish and guinea pigs) as well as our Science Club are very popular on Wednesday lunchtimes. Mrs Clarke is involved in the charity expedition Polar Academy where students will be carrying out scientific research in Greenland to feedback to The European Space Agency. The faculty also gets involved in other activities as they arise.